Happy Kids has an international curriculum which places great emphasis on the understanding of concepts and development of attitudes as well as the acquisition of knowledge and skills. Underlying are the beliefs that effective learning is an active, cross-disciplinary, inquiry-based process. 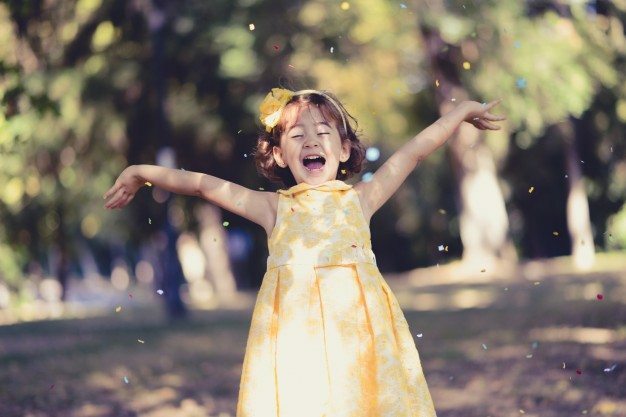 It is a curriculum that uses the power of play to foster children’s development accomplished by means of a balanced, play-centered program in which teachers take an active role in balancing spontaneous play, guided play and directed play. Our Curriculum is developmentally appropriate for young children. 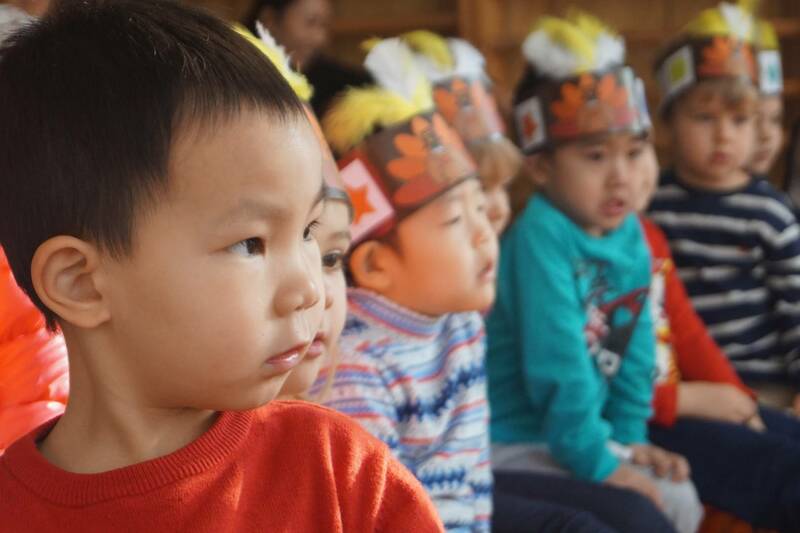 It is planned to be appropriate for the age span of the children within the group and is implemented with attention to the different needs, interests and developmental levels of those individual children. Each child is a unique person with an individual personality, learning style and family background. Both the curriculum and the interaction of adults with children are to be responsive to individual differences. Our developmentally appropriate curriculum provides for all areas of a child’s development: language, physical, emotional, social and cognitive through an integrated approach. Children’s learning does not occur in narrowly defined subject areas, their development and learning are integrated. Our program provides for a range of developmental interests and abilities wider than the chronological age range of the group would suggest. Teachers are prepared to meet the needs of the children who exhibit unusual interests and skills outside the normal developmental range. Teachers increase the difficulty, complexity and challenge of an activity as children become involved with it and as children develop understanding and skills. Teachers provide a variety of activities and materials. Learning activities and materials are to be tangible, real and relevant to the lives of young children. Teachers provide a balance of rest and active movement for children throughout the program day. Outdoor experiences are to be provided for children of all ages. A structured play program with the opportunity for daily activities to socialize, play and grow with other children. We develop motor skills through Visual Arts, P.E. and Music and Drama in a classroom environment that is creative and fun. Children have the opportunity to take part in pony riding and Rolli Polli. An inquiry-based play program with the opportunity for daily activities to socialize, play and grow with other children. We continue to develop fine motor skills through Visual Arts activities whilst gross motor skills are further developed through P.E. and Music and Movement. Children have the opportunity to take part in pony riding and Rolli Polli. This class is introduced and is involved in pre-reading and pre-writing activities which will lead them to becoming readers and writers. They develop interest in the functional aspects of written language, such as recognizing meaningful words and trying to write their own names. Also pre-number activities with sorting, counting and matching activities are forming the foundation for the future mathematical work. They are developing basic Maths concepts and problem solving skills. They are more able to concentrate and remember as well as recognize objects by shape, colour or size. Five-year-olds are developing interest in community and the world outside their own and combining ideas into more complex relations having to grow memory capacity and fine motor skills. 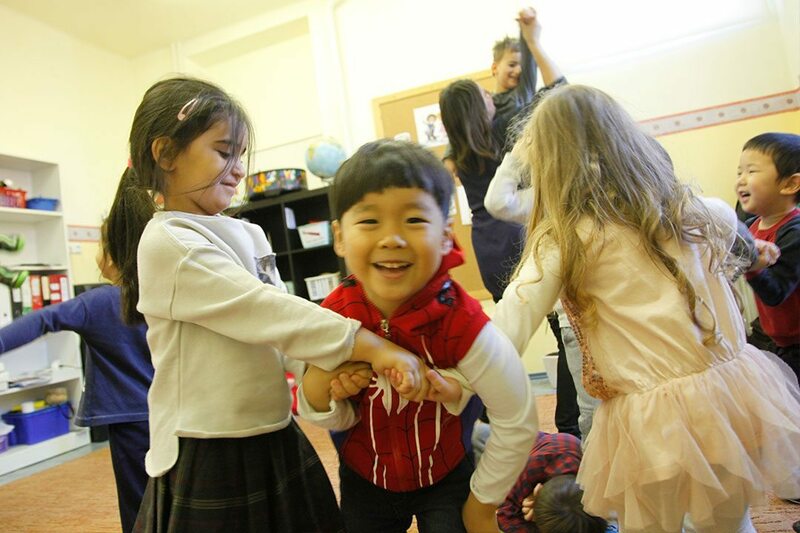 Daily activities incorporate Visual Arts, structured learning activities as well as Music and Drama, P.E., Swimming, and Information Technology which are integrated into the class program. Hungarian (optional), Chess, Pony Riding, Rolli Polli, Swimming (fall, spring) and Skiing in the winter are offered as part of the curriculum. Our academic program uses an inquiry-based approach to cover the subjects. Language, Mathematics, Science, Social Studies, Visual Arts, Information Technology, Music and Drama, P.E., Chess and Pony Riding are part of the daily activities. Swimming (fall, spring) and Skiing in the winter is offered as part of the curriculum. Six-year-olds are active and demonstrate considerable verbal ability; they are becoming interested in games and rules and develop concepts and problem-solving skills from these experiences. Therefore, hands on activities and experimentation are more appropriate for this age group than mechanical seatwork. Seven-year-olds need time to develop and practice with many newly acquired physical and cognitive skills. They become increasingly able to reason, to listen to others and to show social skills. The learning of languages, particularly English for native and non-native speakers and Hungarian for native and non-native speakers is introduced and developed. We take full advantage of the tradition, history and culture of Hungary through regular educational and social excursions.